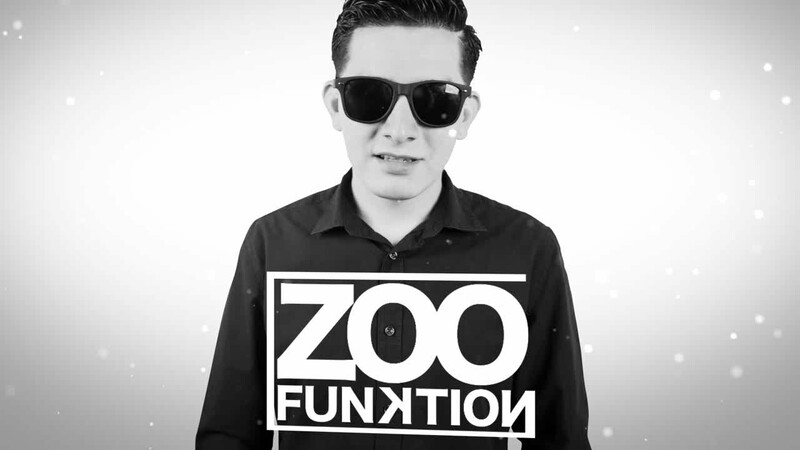 ZooFunktion is one the Top Up-and-Coming Producer/DJ in the EDM scene. After releasing his collab with Deorro named "Hype", ZooFunktion generated a huge buzz! "Hype" received support from top artist like Krewella, Steve Aoki, Tommie Sunshine & many more! Due to the success of his first release, ZooFunktion signed to PandaFunk Records & Crazyness Ent. Shortly after that, Steve Aoki asked ZooFunktion to debut his first EP named "Wild Life" on DIM MAK Records. Within a few days after his release, "Wild Life" was on the Top 10 Beatport Electro House charts. ZooFunktion EP "Wild Life" has gained lots of feedback. Artists like Afrojack, Hardwell, Knife Party, Steve Aoki & Deorro have been dropping his new tracks at festivals around the world. In late 2013, Zoofunktion released his single "Go Crazy" on Tommie Sunshine's label Brooklyn Fire Records & also released an official remix for TAI & Kay "The Trill". Both releases hit the Electro House charts on Beatport as well. This is only the beginning for ZooFunktion & he shows no sign of slowing down!